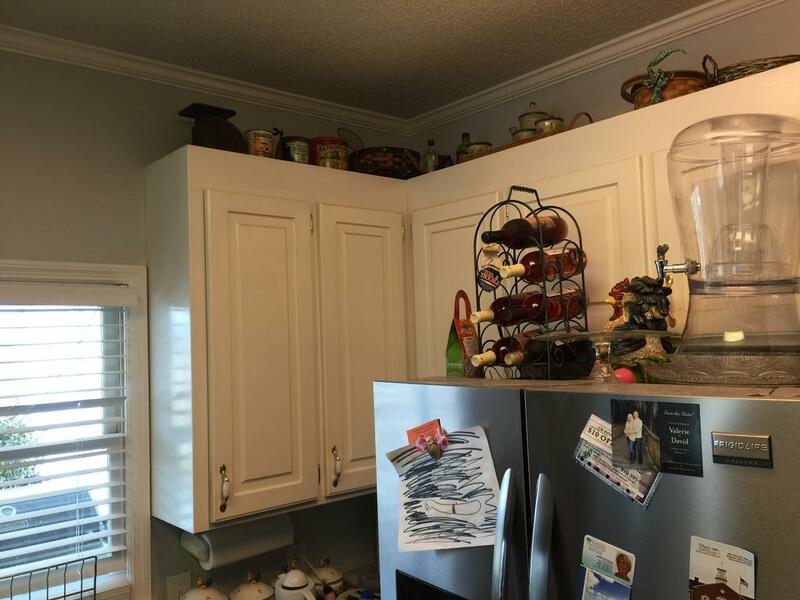 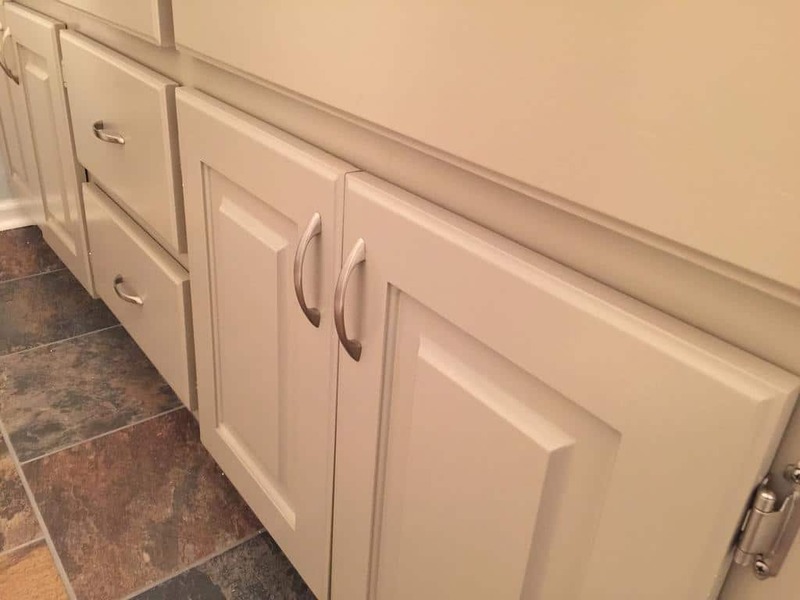 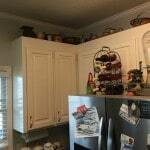 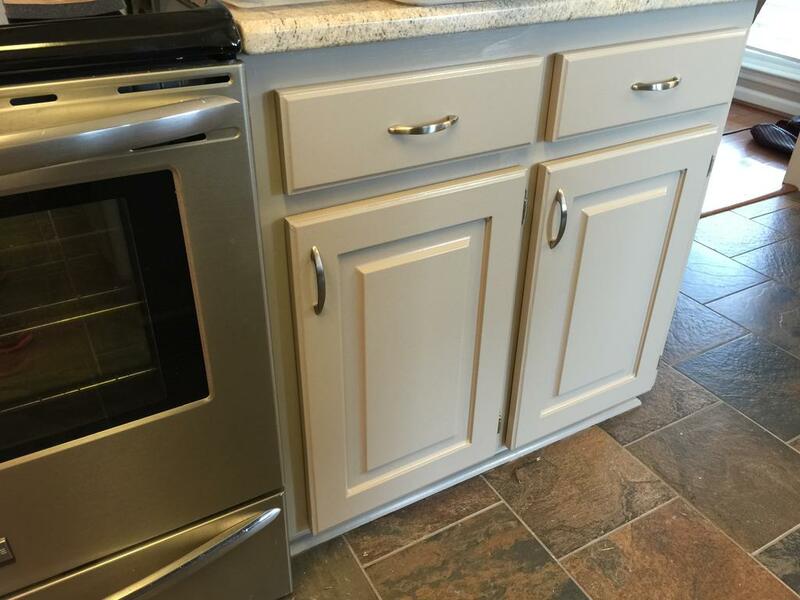 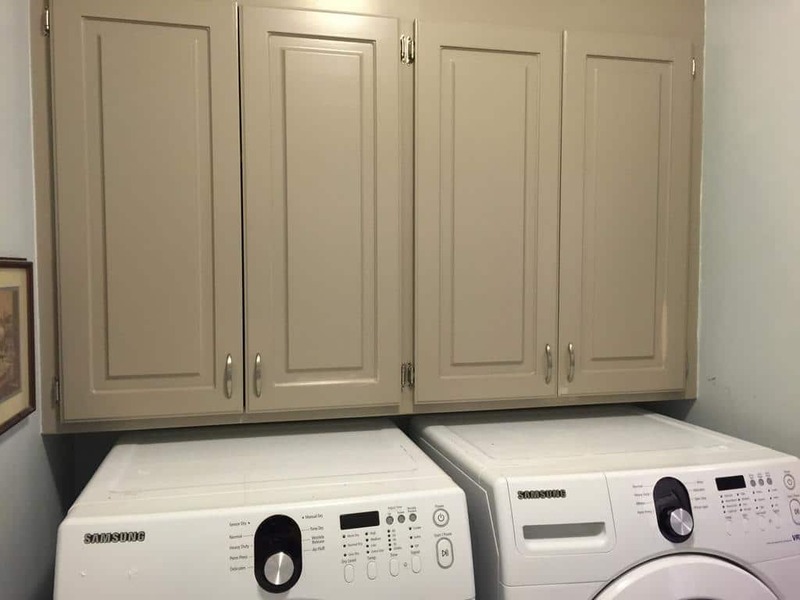 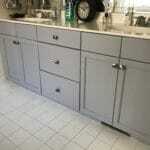 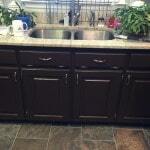 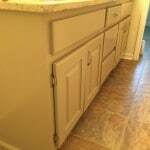 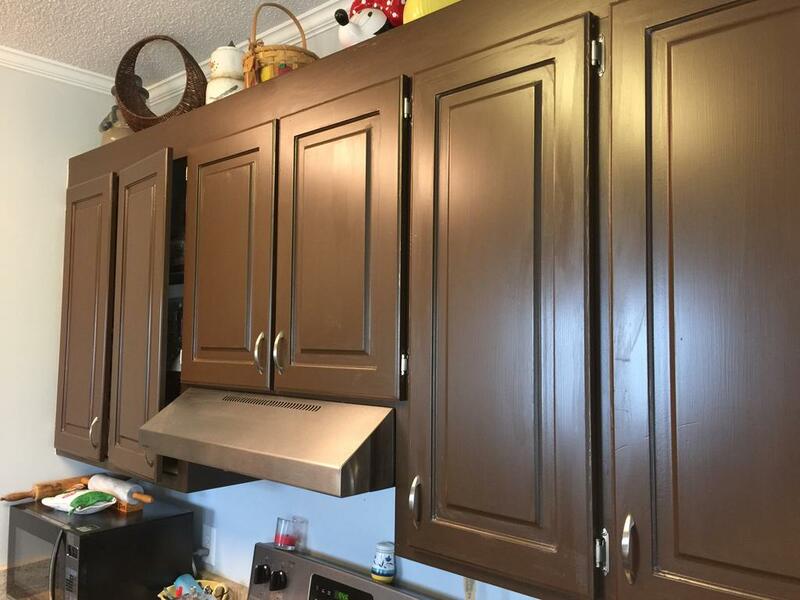 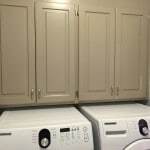 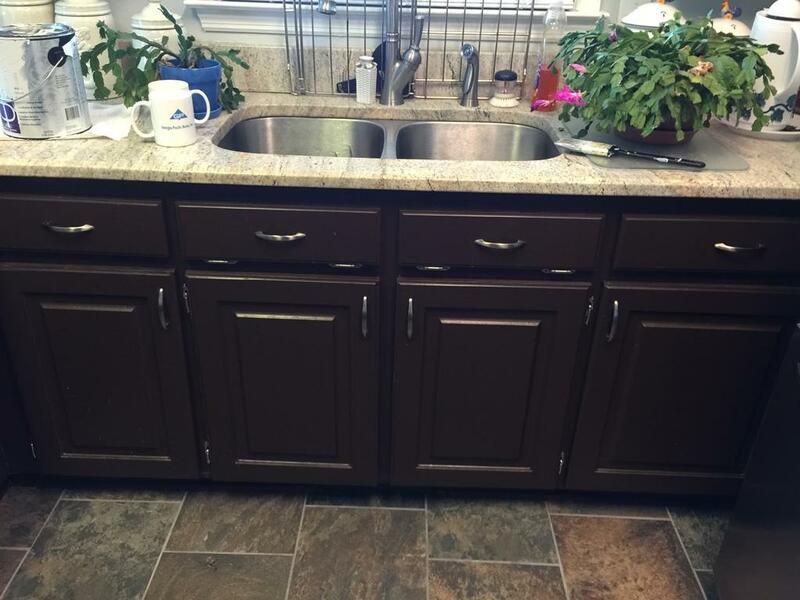 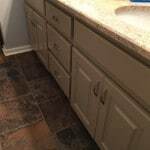 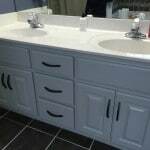 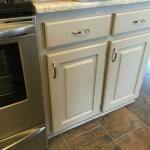 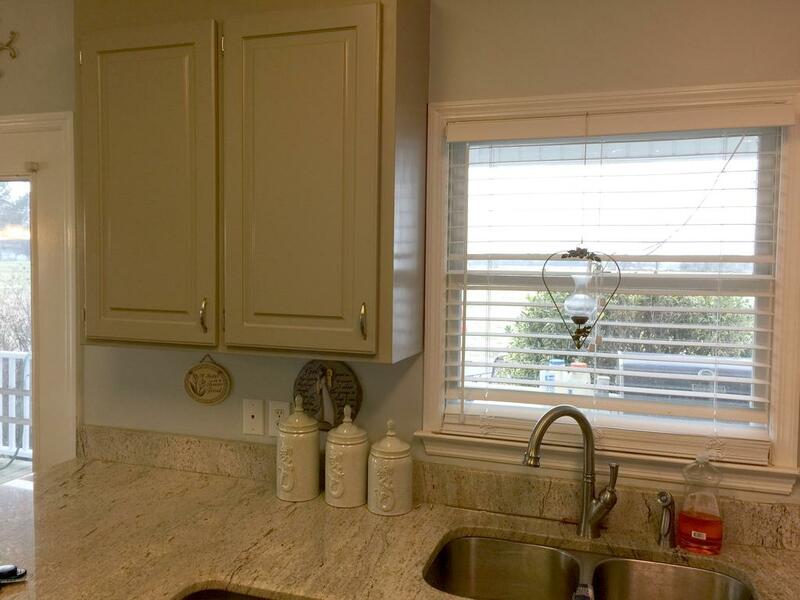 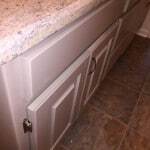 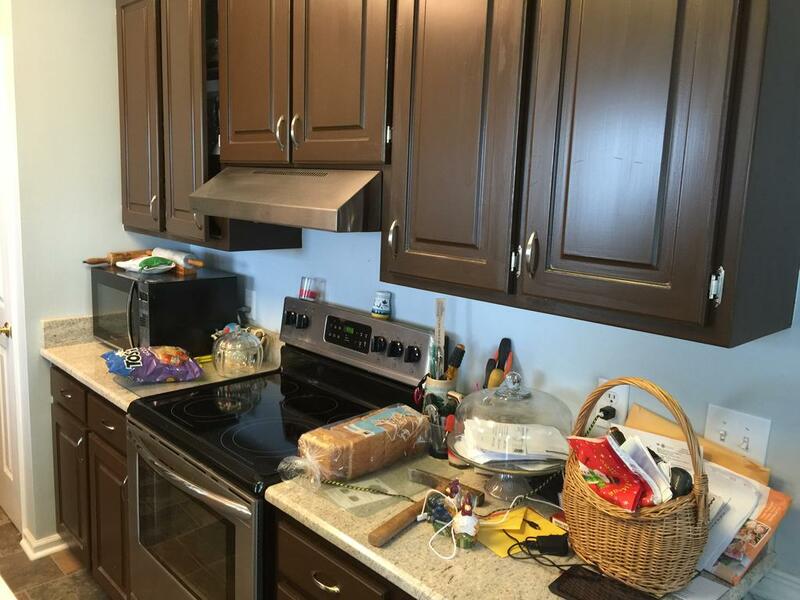 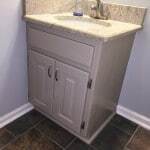 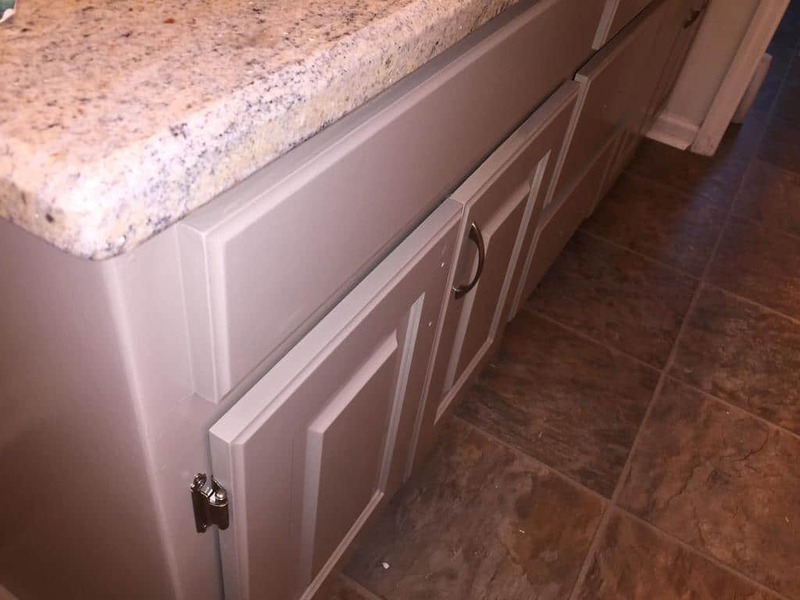 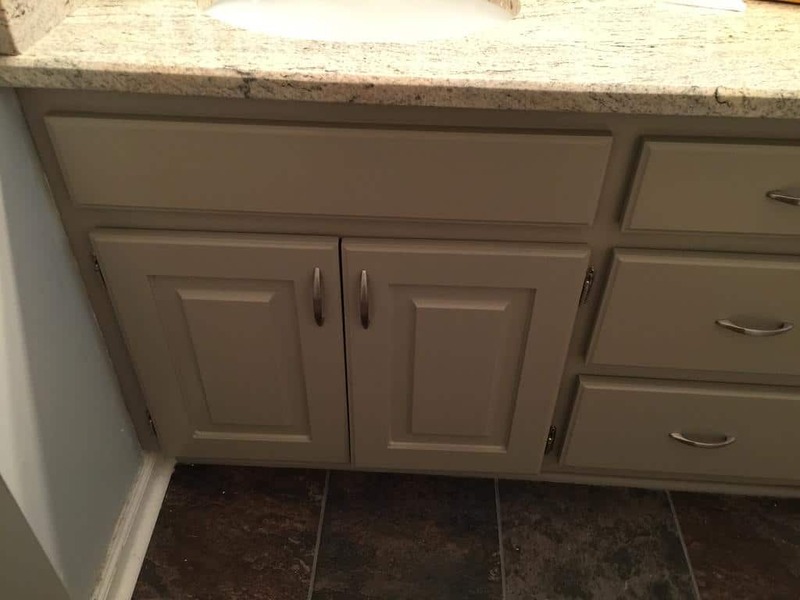 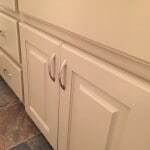 We were able to rescue this set of cabinets from an unfortunate meeting with Rustoleum’s Cabinet Transformation kit. 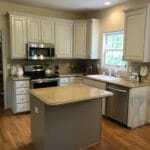 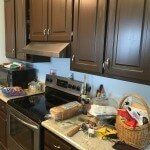 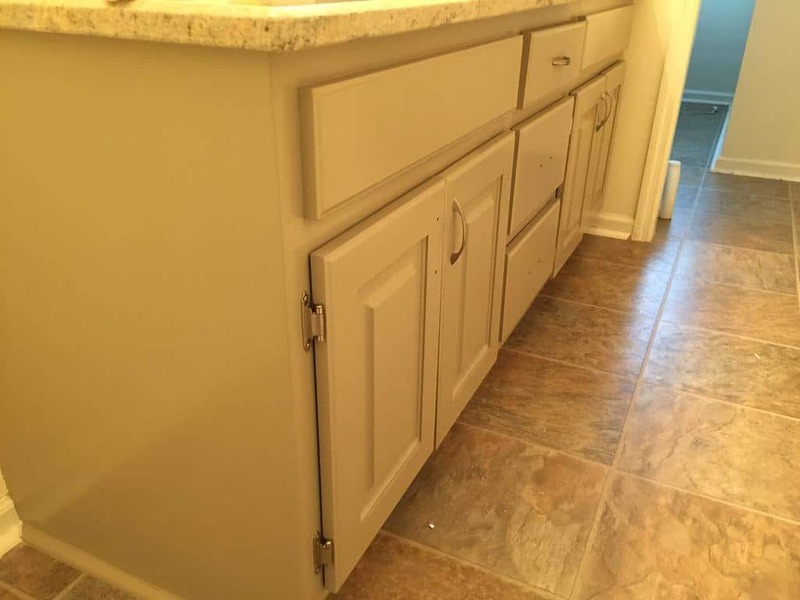 The finish hadn’t come out as the homeowner had hoped, or expected, so we stepped in to save the day. 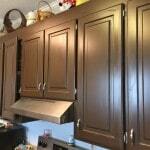 We also updated the color and changed them from dark brown to a warm taupe, called Mega Greige. 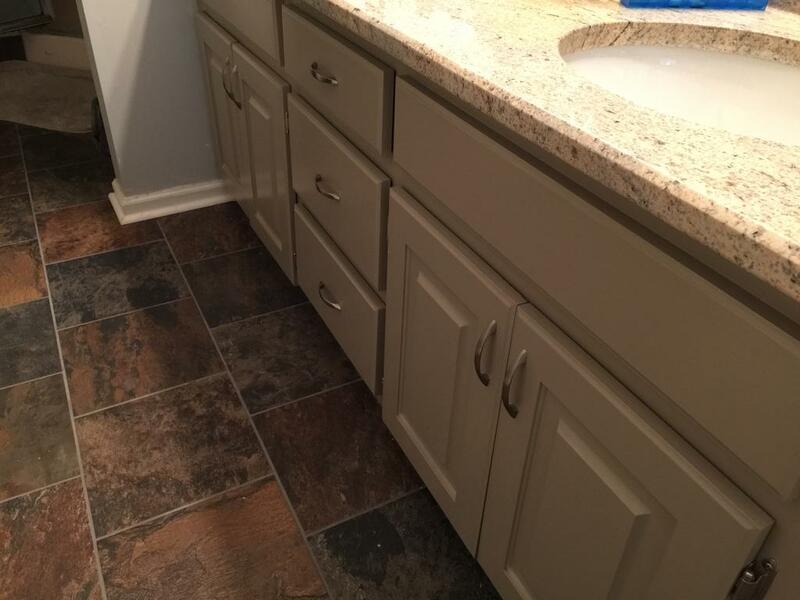 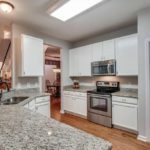 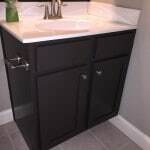 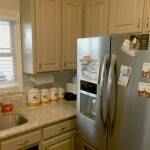 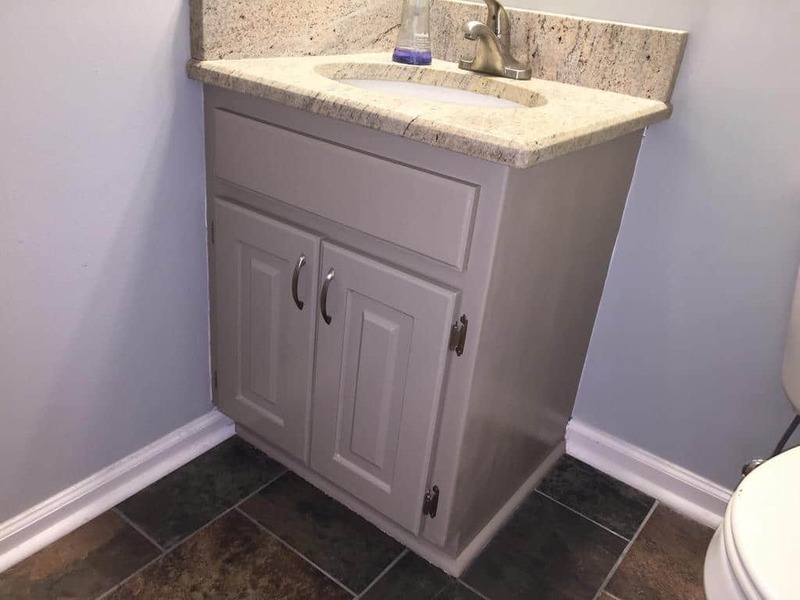 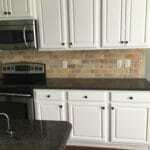 It’s the perfect complement to their tile floors as well as their amazing granite counters. 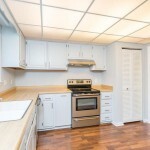 And the lighter color scheme helps brighten up the rooms and make them feel larger! 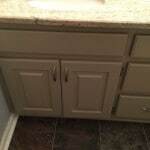 Bye bye brown! 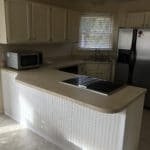 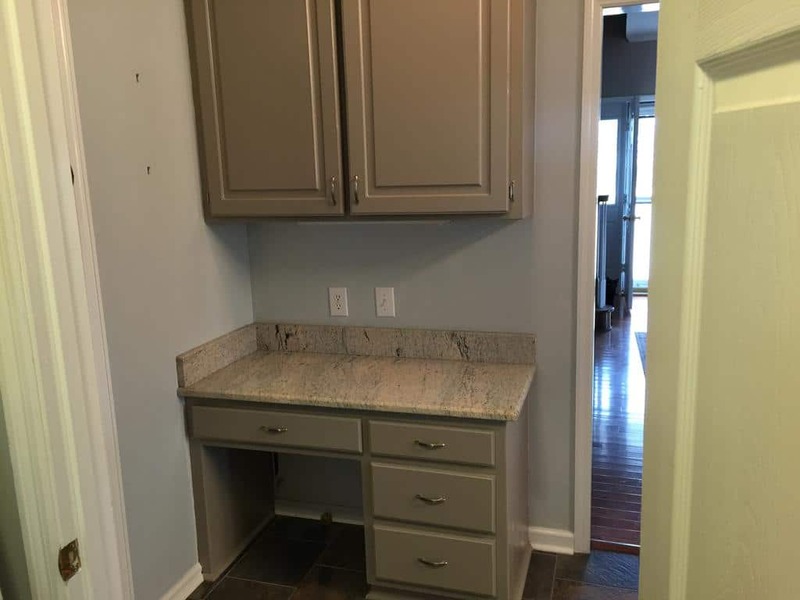 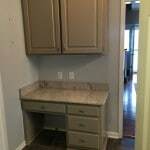 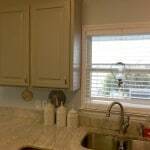 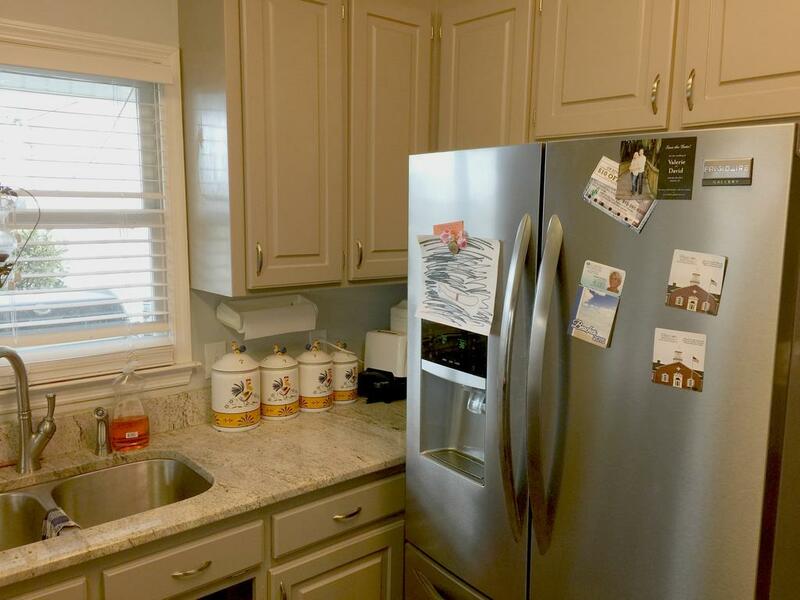 Not only did we update the kitchen, but we updated the built-in desk/office, the laundry room, 2 full bathroom vanities, and 1 half bath vanity.